General Admission for the Nebraska Renaissance Faire. Good for either day! The tickets with the Food option is a $10 food voucher to use in food court. 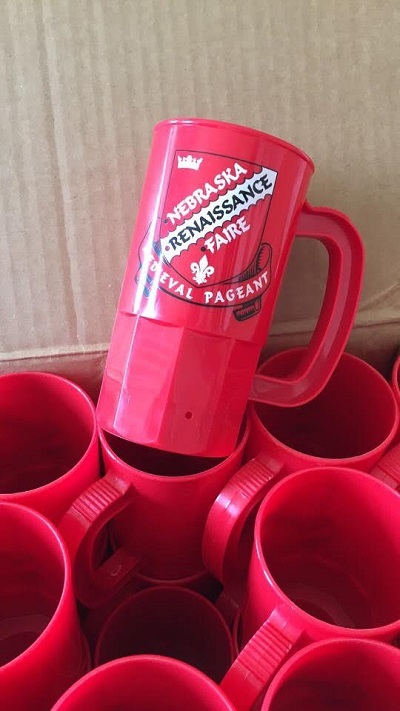 Buy the customized Nebraska Renaissance Faire Mug! Please pick up mug at front gate, bring ticket to redeem. Huzzah and welcome to the longest running weekend Renaissance festival in Nebraska (established in 2003 in Ashland, and formerly held at Bellevue Berry Farm and River City Star Landing). Bring your friends and family out for two festivals in one – an edutainment celebration of 16th Century Europe and 18th Century Caribbean buccaneers.